In the late 1990s, Camigliano, a small village near Lucca (Italy), became famous for terms like “letargia” (lethargy) and “SRI” (“Stupor Ricorrente Idiopatico”, or “Recurring Idiopathic Stupor“). The story was covered in the news with the name “The sleeping court“, after the name of the Hamlet Corte Mei. After several investigations, ministerial inspections, theories, warnings and worries, a trial concluded that the cause of the sudden deep sleep attacks of Corte Mei were, in fact, only a deception. According to a judge’s ruling, a woman began to sneak psychiatric drugs in food and drinks to be hired as a caregiver for the elderly residents of the hamlet. Sleep deprivation (or forced vigil) is an ancient torture system used to interrogate enemies. Soldiers need to sleep. Some soldiers consider a lack of sleep as an obstacle to the success of the campaign and a danger while in battle. 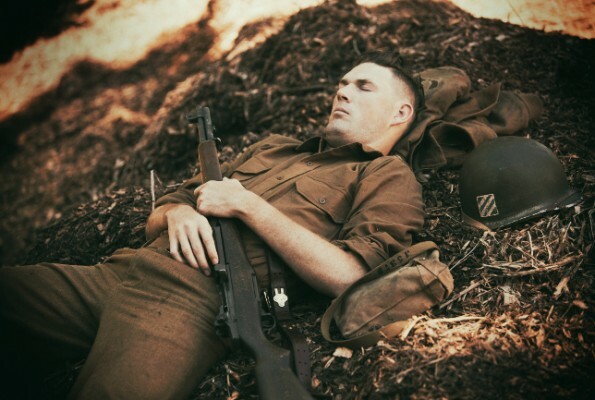 It has been said that the military has conducted numerous sleep experiments on soldiers, which culminated in the recent commercialization of the “sleep-canceling pill“. The pill keeps soldiers awake for 96 hours. Last but not least, we have to consider the effects of war on sleep. A group of scientists have theorized a “Gulf War Illness” that also includes several types of sleeping disorders.